Even before Proposition 64 passed last November, legalizing the recreational use of marijuana, the Walnut Creek City Council was one of the first in the East Bay to formally oppose the measure. Now that 61% of Walnut Creek voters gave legalization a green thumbs up, local leaders are challenged with determining what this means for the city. At 62 pages long, Proposition 64 is a detailed and complicated document spelling out how California will regulate and tax the growth, transportation and sale of marijuana for recreational use. Although Californians are able to possess, smoke and grow marijuana recreationally, many will not have a place to legally purchase it, until retail establishments are licensed. The state has set January 1, 2018, as the date it plans to begin issuing retail licenses. State officials estimate it will take about a year to develop regulations for growing, transporting, testing and selling cannabis. HEALTH & PUBLIC SAFETY. In December 2016, the Walnut Creek City Council held a special session to begin defining strategies and policies for managing the new marijuana legislation. Issues for the city range from health, public safety and cultivation to retail establishments, zoning and tax revenue. Second-hand smoke is a key concern. With one of the toughest smoking laws in Contra Costa— tobacco smoking is banned downtown, in multi-unit housing, all public spaces, and within 25-feet of doors or windows in Walnut Creek. This ban is likely to extend to smoking weed. Dr. Rachna Patel, a local medical marijuana practitioner, expects much-needed industry regulations under Proposition 64. Many of Dr. Patel’s patients request advice on dosage and drug reactions. She hopes increased research and patient support will become available with less stigma associated with marijuana use. “Ideally regulations related to pesticides, fungicides and packaging transparency would have been in place years ago,” she says. Champions of Proposition 64 point to the expected decrease in marijuana-related arrests and reduced tax payer money spent on enforcing marijuana-related crimes. California's Department of Finance projects the state could save close to $100 million in criminal justice costs alone. Opponents, like Walnut Creek Police Chief Tom Chaplin, cited statistics from Washington and Colorado to the City Council, stating school resource officers reported an increase in marijuana-related incidents in schools and increased enforcement costs associated with illegal usage by persons under the age of 21. “Traffic and public safety and the potential for increased use among minors are two issues, among others, that are concerns of mine,” says City Council Member Justin Wedel. Other than behavioral sobriety tests, no method currently exists for determining THC or CBD levels in a person. CULTIVATION. Another big concern for city officials is outdoor cultivation. While Walnut Creek isn’t exactly rural, there are plenty of residential gardens, vineyards and community spaces for cultivating cannabis plants. Chief Chaplin expressed concern odors from plants will create a public odor nuisance, but unless the City Council passes restrictions, there will be little the police can do to restrict this practice. RETAIL. In nearby Bay Area cities, you’ll soon be able to walk into high-end shops like Harvest in San Francisco and buy organic blackberry jam laced with cannabis and gourmet edibles. Other boutiques offer waiting lounges, pet edibles and organic chocolate truffles. Dr. Patel doesn’t expect Walnut Creek to welcome conspicuous weed lounges anytime soon and is likely to use its "land use authority" to regulate the booming industry. “There used to be a dispensary in 2010 that was shut-down after nine months. Walnut Creek is a more conservative than other areas in the Bay, though we do have a higher comfort level with marijuana than we did in the past,” she says. The private market research firm, New Frontier Data, estimates California’s marijuana industry will generate over $4 billion a year in direct sales to consumers by 2020, and that’s not including sales by cultivators to processors, and processors to wholesalers. Experts believe it is possible the weed industry will one day match the value of the California wine industry. According to venture capital database CB Insights, cannabis startups raised $212 million in 2015, even before Proposition 64 was seriously considered. 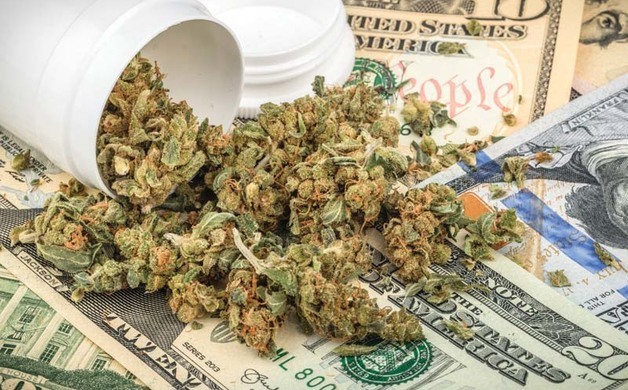 Marijuana-focused investment firms such as Gateway, Poseidon Asset Management, and rapper Snoop Dogg’s Casa Verde Capital are cropping up, investing in startups related to technologies, testing, processing and high-end weed lounges. 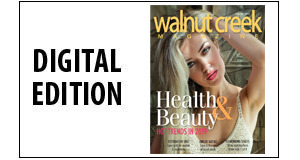 Depending on how the City Council interprets the measure, Walnut Creek could benefit from investments down the road. That’s an open invitation, folks. Every precinct in Walnut Creek voted in favor of Proposition 64. Now is the time to let your voice be heard and influence how green the city will be. Proposition 64 provides very specific guidelines and parameters around using recreational weed. You have to be an adult to legally smoke weed. Dubbed the Adult Use of Marijuana Act, the initiative allows people 21 and older to possess, transport and buy up to 28.5 grams of marijuana for recreational use. 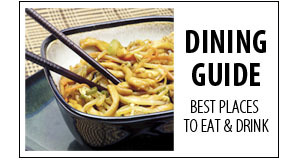 It also allows adults to grow and use up to six marijuana plants. Don’t plan on lighting up just anywhere. You won’t be able to light up a joint on the sidewalk or in a bar. Under Prop 64, marijuana cannot be smoked in public places, unless it is allowed by a local ordinance. It also cannot be smoked in places where California state law prohibits tobacco smoking. If you want to sell weed, you’re going to have to tell the state. Want to open a pot shop? You will need a state license. Want to grow marijuana for others? You’ll need a license. Anyone who grows, processes, transports or sells marijuana must get a state license, and pay a fee––which has not been set––to cover the cost of processing and enforcing the licenses. Local governments could also require operators to obtain a license. Marijuana will be taxed. 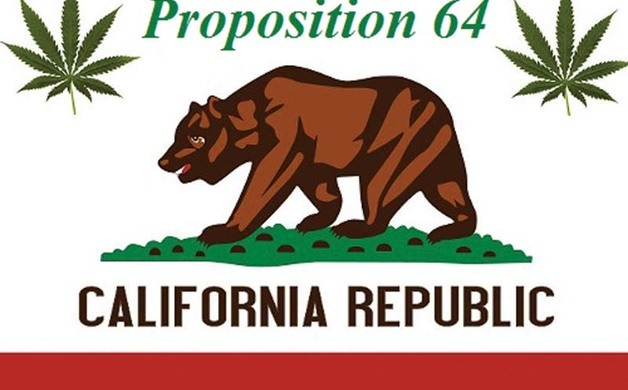 Proposition 64 allows the state to impose a 15 percent excise tax on the retail sale of marijuana as well as levy a cultivation tax on growers of $9.25 per ounce for flowers and $2.75 per ounce for leaves. It also allows cities and counties to impose their own taxes for additional services, such as law enforcement. Medical marijuana patients are exempt from state sales taxes. California could make lots of money on weed. State analysts estimate taxes could generate up to $1 billion annually. Some of these funds are likely to be used for research by state universities to evaluate the impacts of on health and safety, to develop processes for determining impaired motorists, and to provide grants to local health departments for mental health and drug abuse treatment.